Todrick Hall's Beauty and the Beat video is one of the big internet hits of this past week. Last summer he led a flash mob who performed a brilliantly elaborate choreographed routine to Beyonce's End of Time in a branch of Target. It's all rather fantastic. 'I walked out with a TV during this routine...thank you Beyonce flash dancers!!!'. I still have most of my old vinyl singles. Looking through them the other day I noticed that five or six of them were by Five Star including All Fall Down which was one of their first singles and the song that first brought them to people's attention. How I loved Five Star back then. Pure classic pop songs. They were a family of popstars; three sisters and two brothers that really made their own mark on 80s pop music history. 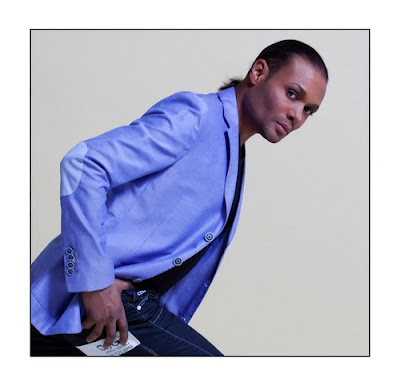 Stedman Pearson releases his new single Love U More on July 8th. It's one of the most catchy songs of this summer and has a great baseline. It's a bit more dance than pop and in that way is both similar and different to Five Star's singles. Stedman has a really nice interview with Elle Flynn on her Phoenix FM radio show here. It's my favourite type of interview where the person asks good questions and allows the interviewee time and room to speak. Here is Love U More which is released on July 8th on ITunes. In the 1980s Clarence Clemons was most famous for being the saxophonist in Bruce Springsteen's E Street band. 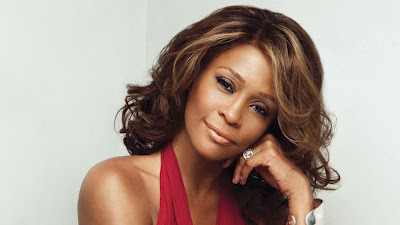 In 1985 he has a Billboard Hot 100 Hit with the song You're a Friend of Mine; his collaboration with Jackson Browne. The backing vocals were by Daryl Hannah who Jackson's girlfriend at the time when she was one of America's most well known movie stars. In the 1970s and 1980s Dionne Warwick appeared on various American music television shows as a host or guest performer. Here is one of the best duets from one of those TV shows. It's Dionne with her cousin Whitney Houston singing their version of You're a Friend of Mine. One person whose recommendations that I always know will be good is Enda Guinan. When I first started blogging there weren't that many Irish people blogging about pop. There were several who wrote about indie or new Irish bands but not many who wrote about pop and dance music from other countries. It was Enda who first brought songs like With Every Heartbeat by Robyn featuring Kleerup and We Are The People by Empire of the Sun to my attention. Last year when the bookshop I worked in here in Dublin closed down Brian one of the guys that I worked with used to play We Are The People while we all packed up the books in the last days of our jobs. I always think of that time and the great people i worked with when I hear that song now. 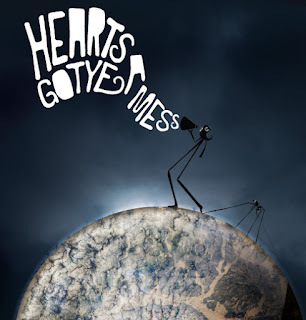 One of the most lovely songs that I remember Enda recommending long before anyone else did was Heart's a Mess by Gotye back in 2006. It was taken from his album Like Drawing Blood. Now in 2012 Gotye could retire on the strength of the worldwide sales of Somebody That I Used To Know but when I hear Heart's a Mess I know he should not be just a one hit wonder. Here's Heart's a Mess and it has a great video too. No body paint or Kimbra! Solsbury Hill by Peter Gabriel is 35 years old this year. It got to number 13 in 1977 in the UK singles chart. Ever since I was a child I've loved that song. 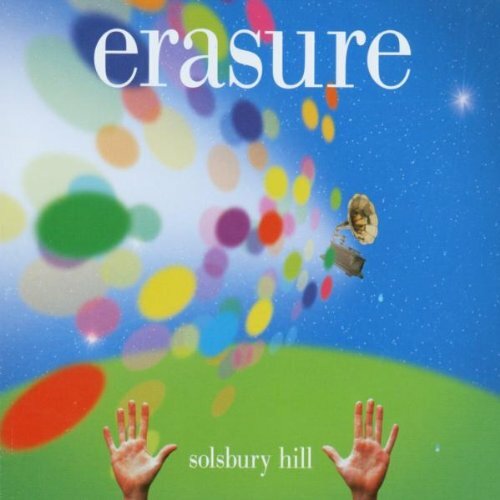 In 2003 Erasure released their version of Solsbury Hill and it got to number 10 in the UK singles charts. It was taken from their album Other People's Songs which featured their cover versions of songs such as Everybody's Got To Learn Sometime by The Korgis, True Love Ways by Buddy Holly and Come Up and See Me (Make Me Smile) by Steve Harley and Cockney Rebel. Erasure have covered several songs over the years and every cover is also their own wonderful sound. I think that sense of joy was part of made their number one Abba-Esque covers EP such a huge success in 1992. That sense of happiness that quality pop music conveys is there in their version of Solsbury Hill. I think I could listen to Andy Bell sing a version of any song. Today is Pride day here in Dublin and on days like today I always think of out and proud popstars such as Andy who have provided the soundtrack to all our own histories through pop music. One of the most happiest concerts I have ever been at in Dublin was seeing Erasure at the Olympia in June of 2011. I had waited a long time to see Andy and Vince in concert and it was a truly joyous gig. What was also lovely is that the Olympia was also the same venue that Vince had played with Alison Moyet when Yazoo played there on their reunion tour in 2008. Here is a live Top of the Pops performance of Solsbury Hill by Erasure.